I found this on a yoga blog. What I have now, probably for the first time ever in my life, is enough. I am not complacent about it. I recognize that relationships are active and therefore require tending. I know that nothing about the strata of society I occupy is immune to disaster. But in societal terms I have come to recognize as my norm, what I have is plenty. There isn’t a single thing or experience I lack. My emotional well brims and is replenished continually. Perhaps this is what has been nagging at me of late. My conscious mind – conditioned as it has been by years of North America consumer driven life-style and middle-class faux career ambition – feels I am not working hard enough to be … what? I don’t know. My inner-self has been quite weepy about it in a pushed around little girl sort of way. She knows we have enough. Time to acknowledge it and let a few things go. I have dreams. Modest and unassuming. But they are not deal-breakers for me and really never were. I have enough. It’s almost verboten to say that out loud as many people fear it invites the active mocking of the fates. That’s flatly ridiculous. Nothing is permanent and fate has nothing to do with that anyway. If you ever had enough, could you recognize it? The sad thing is that people mistake having things for having enough – or not. But the more things you have, the less you have enough. Yes, you can really reach a point where you don’t want b/c your needs are met. And no, what’s next doesn’t frighten me. I like the picture to the post. It’s so right, often times, we feel we don’t have enough, yet we everything needed. Happiness in reality is simple. It’s just our mind complicates it. I enjoyed reading all the responses, this post really struck a chord with a lot of people. Thank you and welcome to WordPress. i lost my job ….and now i had enough….. I guess it all depends on your level of realization at that time. Sometimes, we are able to recognize it, most of the times its harder even when it looks you on your face. Maybe, we are in denial, maybe we refuse to look or even only look at things that we want to see…I don’t know. From my experience, it really takes an open mind and a willingness to really know regardless of the outcome…only then you are able to see the real truth. I think I know what it is like to have enough. It starts with a desire for more, a will to survive and try again and again that is crushed each time you step out. Eventually you are broken. I don’t think to want is neccessarily bad, it is when we feel that getting what we are currently wanting will bring us happiness. Happiness is learned and almost always right in front of us. Yes, it is true, that many of us in this have more than enough but searching, finding, and reading blogs such as this (or other sources of wisdom) give us more…more to ponder, more for which to be grateful, more focus, more support to realize that who we are, what we have is “enough”. I hear ya! Thanks for sharing these thoughts. In this North American culture we’ve been sold a bill of goods that “more is better.” I’ve been re-learning that “less, can indeed, be more.” Wow. How freeing. This is the difference between folks… as soon as i saw the picture, i assumed it was having enough like (that is the last time you will screw with me, bang bang.) so the article didn’t make much sense, until it did :)… nice one. We are told everyday by society to want more – more money, a better job, a better partner, a better life….. If I have this, then I’ll be happy. The day I realised that happiness wasn’t a sustainable state and wasn’t something I should be trying to ‘gain’, I became a much calmer and content person. You could say, almost happy. I have just once simple but hard to do point. We need to learn how to let go, and prioritize. I think that is how we could better put it. let’s go to the basics: We can’t have anything we want. Instead, let’s focus on something that are attainable based on how things are coming along in your life. For example, you are being known to be a good cook in your class or wherever. The most attainable thing to do is pursue that career, make it better, and invent new stuff to make you famous and different. Or pursue a career related to culinary, like being a food critique. etc. At this early stage of my life, I already learned to let go of some dreams or stuffs I think I could live even not having it. As a follow-up move, I prioritized things I would really want in my life. I have a dream of going to NY to celebrate New Year – that dream, i don’t want t give up. Well done, Anniegirl, for making it to wordpress front page! I am an ex-Zimbabwean who lost everything, so when I have a bed I know I have enough (I play the happy homeless victim quite well). The west has been very good to me and there is truly an abundence here. I used to judge people in the West and was horrified by the waste and attitudes of some. The truth is I am a now a Westener, enjoying all the first world has to offer while still knowing if I am breathing I have enough. I’v signed up and looking forward to your posts. Thanks. And for signing up. I hope I am not a disappointment. The WordPress front page is a lot to live up to on a regular basis. I never lost everything. I came close to losing the material things – like a house and stuff in it – when my late husband first became ill. But aside from losing him, I would have to say, I haven’t any experience in losing everything. It’s easy to judge though, isn’t it. The answers always seem so clear from the distance and than not so much when you are surrounded by the trees in the forest. I think we should enjoy things if we are lucky to have them and there is nothing wrong with striving to acquire. It’s maintaining perspective that’s the most important thing. You could think and think about this forever! When is enough enough? Would I be happy with more? How little can one live on? How much can one have? I know I am very vague here, but really when is enough enough? I think back to being a kid and wanting more and more of whatever, and then now I look at myself and there are times when I want more of something, and times where I feel very content. I think it has to do a lot with perspective and what one thinks is enough. What is enough for me, may not be enough for others, and what is enough for others may not be enough for me!! I think about that every time I am at a craps table or poker game. And the answer is: no, it’s never enough. But that is more because I have a problem rather than recognizing I have enough. Perhaps it is the winning and not the “enough”? “If you ever had enough could you recognize it” For most of us that answer is probably no. Why? It’s the price we pay for Individualism. We must inherit this blindness to live such self-centered existences. Sad I know but until the question changes from how much I have to how much have I given We shall be captives of the dark, blindly existing for ourselves. If only the rest of the world, including myself could understand the concept that complacency isn’t such a bad thing. I am truly inspired by some of your writings. There is a sense of give up in your post. Maybe it’s not flatly ridiculous to second guess your motivations or lack there of? Give up? No. But If I were not to realize some of the details I envision, it would not be a tragedy. There’ll be other lives, you know. You keep asking questions- anyone latching on to one side or the other is missing the entire point. Hi there – I like the mature insights coming through this post. It’s not often enough that people can genuinely admit that they have enough. Interesting post- and valid question- though, to the experienced it may be redundant. To be human is to want- some buddhist scrips may say so. Personally, although well meaning, buddhism is for the monks, and the rest of us can enjoy the show. In other words- it’s only human to always want more. You for example, say you have enough, but still ask a question. Exhibiting the need to know more. We will always ant more. In the physical sense as well as in the metaphysical or spiritual or emotional- many times one may be used to reach another plateau of consciousness, understanding or satisfaction. But always only temporarily- because we are human, and we, unless otherwise ignorant- will always need to grow. And if not- then something is wrong. Love this. Thank you, wordpress for featuring anniegirl. The more I let go of, with regards to the material stuff, the more free I feel. Every so often I still get to feeling down about not being what so many would consider “successful” when it comes to career and/or acquisitions but most of the time I just enjoy life : ) Great post – great bumper sticker. very well said. shukraanallah wa alhamdolillah, for the first time in my life, i too feel i have enough by His grace. may He bless us all with contentment. Please do read the links to her details , at the end, which are proper safe links to reports by a leading Indian News channel NDTV. Ur post “If You Ever Had Enough” made me check if u wud be interested in viewing the blog i am referring around, having created with lot of Hope , even if Utopian. If someone like u helps, lot of ppl might read it…..though , the blog is primarily meant for Indians…. Hi… this is a wonderful post and really though proviking… Certainly a question that I have started asking myself these days quite often. I think to a great extent these days our wants are driven by peer presure. We look at the lifestyle of someone else who may have a similar background like us and think that if he/she can have that why not me. I think we will feel it is enough when we look at us individually and think do I really need this? This is NOT spam;Nor just another orphan among thousands; its about the one who is perhaps the MOST VULNERABLE, among the 1 billion Indians. This Blog is about the Hope, even if Utopian, that one day it is opened by a person/couple/family, who are able to come forward and include Rajitha into their family. So, each time you mention the blog to someone else, you are lighting another candle, as part of searching parenthood / foster family, for Rajitha. Hence, even without fresh posts/comments, this blog hopes to bring a ray of Hope for Rajitha, even if as little as a Candle. Its not about Moving mountains. Its like, clearing one pebble. Great post. And, to answer your question: I do have enough. Most certainly. To be content is an act of the will, not necessarily an emotional response. I choose contentment. And, the more you choose to be content, the easier it gets. The passage in Philippians so many commenters have mentioned is among my favorites as well. Really Head Banging question. Put me on tenterhooks what exactly we are trying to do and achieve? What to be and what not to? My thoughts exactly. I have recently been thinking about how much I have and take for granted. I have made it a goal to appreciate everything around me…and while that’s hard, I think its really important. It took half a century for me to be comfortable with the concept of ‘enough’. good for you for recognizing the importance of what is enough for you in your life. I am much happier and content now that I’ve accepted that what I have, at any given moment in my life as it is, is more than enough for me to be satisfied, fulfilled and successful. I’ve always told myself, I don’t want to be one of those people who don’t recognize a good thing until they’ve lost it. And I’m glad I know what I have, and I know that I have enough. It doesn’t stop me from wanting more, but it certainly makes me feel grateful that in spite of all my shortcomings, I still have enough. I could not agree with you more. I’m pissed at the fact that sometimes people just have emotions that we shall never be able to feel and so many people cant except that. From what I am experiencing right now.. no matter what how many steps I take to keep if from falling to pieces, no matter how far I am willing to go to get it right, no matter how bad I want to keep it together for everybody, my friends and family or simply for the dreams I have for my own heart for the future. Sometimes it is just not enough. That is a very good question.. which I think I know the answer to personally.. and wish I could find satisfaction. As much as I completely agree with enjoying contentment in any situation, for me personally I feel like so much of who I am is fueled by an irrepressible drive to keep pushing forward to something better. Though we are at vastly different places in life, I can’t reconcile the proposition to settle into what I currently have, materially-speaking, relationally, spiritually, or in any area of my life. I think that questing is fine. I quest still. But, I have enough and anything more would be like putting icing on it. WOW. Really great, insightful post. For me, I have too much stuff, but not enough in the other categories mentioned to feel completely fulfilled just yet. Maybe it’s the American in me; most of us feel that we need to do more, be more, consume more etc. All the same, if I died tomorrow, I’d be okay with that too. I’d love to learn more, do more, but I’ve also lived a good life. Maybe that IS enough. Santosha! Contentment! Rock on! This is a question I’ve been mulling over so much lately and I appreciate this piece you’ve written. It’s meaningful (and crucial) to recognize just how deeply we have been programmed to look outside ourselves for happiness. To continue collecting distractions. To keep piling on top of our restlessness in an effort to eradicate the restlessness without ever going to the root and getting to know our own minds. Contentment is a beautiful gift. Wow. I am so thankful that I’ve stumbled on to your blog, you don’t even know. I’ve had enough, and I’ve recognized it! I like to read that….. i’ve seen so many awfull blogs…u save the day!! Anyway, the saying highlighted in this blog is obviously all this condensed, though perhaps this dialogue might be of use to some people. Your example has totally helped me….The only way to be content is to remind oneself that ” I have enough and I am happy “..
Can totally relate to this, but to answer your question I guess I don’t recognize I had enough until I hurt myself, emotionally. Good question! A good question. It feels like my boyfriend asks me this daily. Like you, I hail from a culture where nothing is ever enough. I think things can always… be better. I’m always expecting more. Him, coming from a place where everyone has what they need (enough). Happiness is being…satisfied, and having no expectations. He can’t understand my constant need to upgrade. I think you’re both probably right. 🙂 It’s just difficult to shake the mentality sometimes. I have more than enough! Here in America, we take so much for granted. Some of the people who are richest in material things still are greedy for more. Talk about irony! Maybe your post will start a movement. Exquisitely, eloquently and perfectly said. Great post. An attitude of gratitude goes a long way toward inner serenity. I do not mean for this to be posted. I would like to borrow your words about having enough and post them, with credit to you, on our blog. We are in the middle of a Transition initiative, and at our last meeting there was a lot of talk about consumerism, and ‘enough’. Would you give permission? As long as it’s credited, I don’t have issues with people reposting with a link back. Yes. Actually, I looked around once and realized that I had more than enough. I made a few important changes to satisfy the areas in my life that were hidden by the “too much” in other areas. I am satisfied. I have dreams and goals which I strive for in my own slow-paced, rational ways, and that sort of striving satisfies me as well. Compelling reflections – since retirement, I’ve been living simply, but I still occasionally want something, like a Kindle. I don’t “need” a Kindle – my lifestyle is such that I cannot afford new books all the time. I’ve been going to the library and haunting used books stores. I love the feel of a book in my hands. I covet the occasional gagdet. A Kindle. An iPhone. But the bookmobile practically stops at my front door once a week and the librarians will hunt down anything I could possibly discover to read. And I have this personal issue with cell phones, so even when they have cool features, I still shun them. I would rather not willingly “tag” myself like a bear in the wild. Knowing I have enough doesn’t stop me from window shopping or thumbing through catalogues. It just stops me from buying. As a former bulimic, never having enough had a lot to do with food. The turning point on my journey was to realilze, regarding food: “There will always be enough. I don’t have to eat everything now.” And then to realize it was not about food, but rather: “I am enough.” Having lived through both poverty and abundance, and bulimia to boot, a strong trust has grown within me to know that I always get what I need. Everything is there — on all levels: spiritual, material, emotional and physical (food, affection…). Trusting. An excellent point. Thanks for bringing it up. My mother-in-law and I had this conversation (well this topic came up) earlier this week as I was running around doing EXTRA stuff for the kids since hubby is on work travel. My mother-in-law encouraged me to slow it down because the kids just want me and not all the stuff/activities. **big sigh** I’m learning. Your MIL makes a good point. It’s hard to parent today. The prevailing wisdom pushes “stuff” and “quality time”. My daughter likes to play with the box … still, at seven years old … and she’s happy to have me accessible more than in her face..
A beautiful way to live. To stare a westernized thought pattern in the face and say ‘I won’t do it. I will be happy with what I have, because there will always be things that I won’t and I refuse to spend my life chasing and grabbing and wanting more only to find something else just beyond my reach.” Everything we ever need is right there in front of us. To realize this is to live happily ever after. ambitious religious people ……….do not need that question …….with my full respect. I’m not a religious person. This doesn’t stem from any spiritual questing though my yoga journey plays a part to be sure. I think that truly spiritual people don’t ask many of the questions that those of us who are not, or who are only superficially so, do. 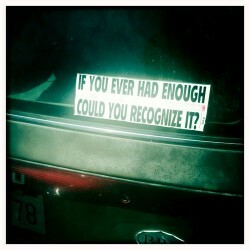 Most people probably ‘have’ enough – I think you’re right in that we lack the ability to recognize it as enough. Oh, now that is a totally different question and one I struggle with with a lot of reasons that I won’t get into on this post. I was just pondering the “enough” in terms of the material and emotional and to a certain extent, career. Anyone who finds themselves to be content has more than they’ll ever need, and everything they could ever want. I like what you say about your weepy inner self–sometimes we are our own worst enemies when it comes to making peace with ourselves. How right you are–we often just need to let some things go. What a thought provoking post. Human are greedy, self-centered. We always want more and more. I do think aging has something to do with but I know younger folk who are very comfortable in themselves and positions too. The problem is that the people who ask that question don’t need to. Ah, yes, there is that “choir” thing. Camping wild on a deserted beach and falling a sleep with my ‘conch’ ears on. One doesn’t need five star hotels and room service to keep you happy – though it would be nice if someone sneaked into the tent and left one of those expensive chocolates on my pillow. I’m not cold and hungry. I have enough to occupy my mind and hands. I have enough. I wouldn’t turn down more money or the opportunity to travel, but I can live without it. And that’s just it. It’s being okay if this is all there is, and I don’t mean that in the dreaded “settling” sort of way. Interesting quandry indeed. There have been times in my life–depending on age and emotional state at the time–where I have been so myopic,for one reason or another, that I didn’t even recognize need. I have like everyone, endured both feast and famine; want and contentment, vacuous emptiness and deep abiding fulfillment and irony of ironies, often at the same time. Do they cancel each other out then? No, not at all. They served to remind me of where my station in life was at that time. Where am I now? Well, now that I’m older the perameters have changed. Perspective does, too. What I want and need is different from that which I wanted and needed 25 years ago. That could change ten years from now as well. I’m OK. Bliss is near, not in reach but not out of reach. Fear thrives when it must. Contentment rears it’s head when warranted and tolerance fills in the voids. I’m an emotional salad. Comprised of all kinds of feelings. They’re ever present. I hated that at one time. Now I like it. In fact, I’ve been taking a good, long look at the vast album collection I call my life and my most recent LP, the one that now has 51 tracks etched carefully in the vinyl is my favorite. It’s well worn, but l contains the soundracks to every emotion I ever felt. If I look at it carefully, I handle it with care and then suddenly, I realize—my God, I still have a B-side. Pingback: If You Ever Had Enough (via anniegirl1138) « Freshly Pressed! Great post I find it very interesting and entertaining! I have recently been thinking that it’s part of the human condition to keep wanting, and that it’s ok to keep striving for more because it pushes us to grow and create; as long as we can find a way to be at peace with where we are knowing that we are already whole and complete, lacking nothing… which it sounds like you have done. Beautiful! I have had enough, and yes, I have recognized it, but my problem has been that I have been too much of a coward to admit to myself what has been happening… bad situation that has dragged on for way too long….and all due to fault of my own…. I think, at this point, there are 3 things I can identify that I think I need before I’ll feel like I have enough. I think outside of that, there isn’t much that I really need. There are things I would like, but need? I can’t think of any off the top of my head. Thank you for this post. The photo alone stopped me in my tracks. This is a wonderful way to start my weekend, appreciating all that I have in my life. Thank you again! We create our own realities. If we feel like we’ve had enough, it’s really one because we perceive our existence to be “enough”. When I was working restaurant jobs, I would dread it. Serving other people food that they could make themselves. I dreaded the fact that I would have to work, to get paid, to live, to work. But I caught myself, and told myself that there are little things that could distract me from that feeling of “having enough”. I’m a visual artist, so what I started getting in the habit of doing was looking at everything around me, being completely aware. I would look at all the colors in the foods, walls, and appliances, and look at all the textures in different types of materials. Just looking at all the geometry that our surroundings have to offer can really make one feel like they’re already living, not working to live. I always try to remember the Thoreau quote, “Money is not required to buy one necessity of the soul”—especially now, when my family struggles to make ends meet while I stay at home with our toddler. The fridge is never full enough; we’ll go on a family vacation, oh—never. I grew up with everything, and I feel like I can give my daughter and stepdaughters a fraction of what I had. Still trying with all my might to remember health, a roof over our heads, and having each other are most important. Your post helped! I love this post. I liked what you said, and it made me feel like, “what in the hell is wrong with me?” because I always focus on what I’m missing or needing. There is nothing wrong with you. I didn’t get where I am overnight. You focus on needs and absence because that’s where you need to be focusing. I don’t think people are needlessly wanting. We have needs. There are things we have to pursue. For me, I have reached a point where taking stock and realizing that I am “okay” is appropriate. So now that you have enough, what are you going to give back to the world that has dealt you a good hand? My former career – teaching – was all about giving back, and after my first husband died, I began a purge of possessions that mostly, I gave away to people who needed them more than I did. Now I am pursuing my teaching credentials as a yoga instructor because I want to share that with others. I like the idea of having a studio of my own some day. Tara Stiles, the model turned yogina, has ten dollar classes – insanely cheap for her NYC location – because she wants yoga to be accessible/affordable. I’d like to do something like that. When we think about “giving back”, there is this grand expectation when really, simple acts probably have more immediate and longer range effects. I did! Now I am in the best side of my own story. I liked this posting quite a bit. Success and happiness is about finding acceptance from within yourself and you will never find it if you are constantly striving for material possessions. Happiness is about enjoying the little things in life, attempting to accept people for who they are, listening without judging, and just being you. WIll we ever just have enough in life? That depends- life is full of adventures!! ! This is a great article and should touch home to many consumerists, mainly in North America. We are conditioned to never feel like anything i enough, otherwise the businesses wouldn’t sell their products. Many cases of depression, low self-esteem and other mental issues can probably be attributed to the disagreement between the conscious mind and the inner self over how much is enough. It can be quite difficult to recognize it, but the feeling of recognizing it can be one of the most liberating feelings in the world. It is definitely worth assessing your life now and then so as to appreciate what you have – else you may squander it. And I salute your assessment that right now, maintenance aside, you have enough. But I would hate to close the door to new people, places, experiences. Though I suppose it’s the constant scramble to accumulate things that you’re warning against. Yes, I was thinking more in terms of the material. Spiritually, relationship-wise and general life’s journey are still works in progress. It helps though to realize that the striving for “stuff” is a burden that can be put down. That’s interesting. Honestly when I replied above, the material things are not at all what I had in mind, or I how I took your post. Although I enjoyed the post all the same. I was thinking more along the lines of the “I can’t take anymore” (of whatever is bothering us) attitude we call get at times. Whenever I’ve had enough, I recognized it, but after it was too late. If it wasn’t too late, I didn’t let having enough stop me. But I’m giving that statement a very literal definition in regards to food and eating and my own gluttonous behaviour. In a more metaphysical sense, who knows? If we’ve had enough, who’s to say enough is enough? Yes, I have enough. I may want more, but I have everything I NEED. I lost everything a couple of years ago to friends, who turned out to be thieves, and stole everything I had. I lost my house, and all my money to them. I have since recovered and all those possessions I coveted are no longer important. I discovered I was too identified with what those possessions were supposed to mean. Possessions have no meaning. My friends are all I need, along with a new outlook on life and how to really live. Very good question. We should all be asking that. Awesome question. We’re living right? So shouldn’t that be enough? After reading your post I am going to make it a personal goal to try not to complain so much! My life is good. I have a job that I love, friends that are there for me and an amazing family. I shouldn’t have to be asking for more… But I do know that there are people that do not have enough, so it’s not universal…maybe that’s what Raul is struggling with on the answer. Nice post! This is a great question, one which we all should ask. I have had enough for years. I live a very blessed life. I know what having nothing is and I also know that nothing is enough because I know who and what I am. Great post! I think that we might never be able to answer this question, but as of late I am focusing on what I have rather that what I want. Puts my abundance in perspective. Excellent post. Upon self-reflection I believe that I like others have been brainwashed to want more…more…more… Time readjust those priorities. That is a good question…the answer is…I don’t know. What thoughtful post, and very well said. Would I recognize having enough? I don’t know…but now I WILL think about it. i know that i’ve been given more than enough for every season and circumstance, and it’s a challenge to remember this when my vision’s clouded. one of my favorite passages of scripture (philippians) says, ‘not that i was ever in need, for i have learned how to be content with whatever i have. i know how to live on almost nothing or with everything. i have learned the secret of living in every situation, whether it is with a full stomach or empty, with plenty or little.’ if a guy who had been starved, shipwrecked, beaten, and spat at can say this, surely i can too! if the truth stares right at your face, would you recognize it? Yes, unless you eat it too fast, then it takes 20 minutes to set in. Well said. Sometimes our ego takes over urging us to want more. I, too, have enough. A home, wonderful family, a roof over our head, and food on the table. We are happy. We have more than most and I’m grateful for it every day. I agree with you! I’m grateful for the things I have especially in today’s society. Congratulations! You are one step closer to lasting happiness and peace. Some people are commenting as if the blog writer wrote this article she is quoting which as noted at the top the anniegirl notes it is a reprint from a yoga site. This bring up the question: how would people really notice if they had enough of anything if they don’t notice small details like who wrote the post. Um, I did write the post. I found the photo and linked back to someone else’s take on it. This take … mine. How would you know until you were there? Seems to me you have to reach that point to recognize it. I don’t believe in this case you can make suppositions. Only realizations. if truth stared at you, would you recognize it? There’s truth in every stare, every sight and every feeling. One of my favorite bible scriptures (Paul actually said this in Philipians 4). I meditate on it daily! I don’t think I’ve met any non-Christian I’ve had respect for that could not acknowledge the wisdom of Jesus Christ, in particular his Sermon on the Mount. Can you also tell me what is the Secret to be content ? To not run the race that we all are running in our lives? To Smile in a tough situation? Easier said or written than done right?